Gary Evans, age 74, of Houston, passed away Wednesday, April 5, 2017 at his home. A Graveside Service will be held at 11:00 A.M., Monday, April 17th at the Stockham Cemetery. Rev. Paul Nauman will officiate. Memorials may be made to Stockham Community Church. Higby-McQuiston Mortuary is in charge of arrangements. Condolences may be e-mailed to the family through the mortuary website at www.higbymortuary.com. 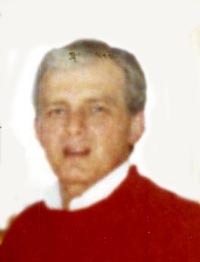 Gary Hazen Evans, the son of Reid and Verna (Halstead) Evans, was born in Stockham, Nebraska on July 12, 1942 and passed away in Houston, Texas on April 5, 2017, at the age of 74. He grew up on the family farm near Stockham. He graduated from Aurora High School in 1959. Gary went on to graduate from the University of Nebraska at Lincoln and University of Nebraska Medical Center School of Pharmacy. He started his career in Chicago. In 1967, he moved to Houston for a job opportunity at Texas Children’s Hospital. Gary retired in 2007from Texas Children’s Hospital after a 40 year career there. Those left to cherish his memory are his brother, Larry Evans of Stockham and several other relatives and friends.